This was my first Civic event of the day. I had already done the first ever Cassiobury Park Run. Park Run’s are happening all over the UK. Dorothy Thornhill welcomed us all to Watford, most of the 150 runners were not from Watford. The run could only take place because of volunteers. One of these volunteers was Tim who lives across the road from me. 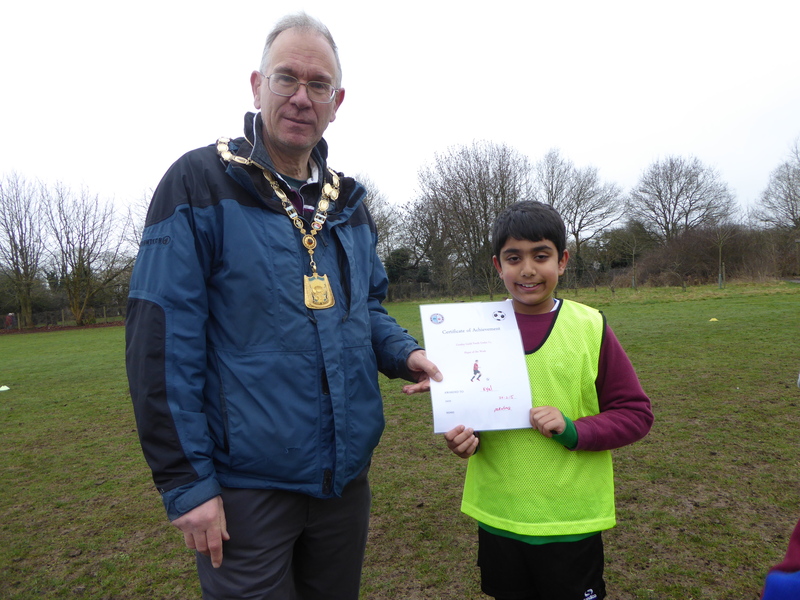 Mike Wood had invited me to watch the U10 Croxley Green Football team train. On Sunday they were going to have a match. Mike is one of many coaches across Three Rivers in many sports who gives up time so that young people have the opportunity to play sport. It was great to have the opportunity to meet the boys and the coaches. It was a lovely morning to be watching. I also talked to a few of the parents who stayed and watched the whole session. I want to encourage young and old to play sport. When you play sport as a youngster it is not just about keeping fit and developing your sporting ability, but with football it is learning the social skills of being part of a team. It is also important to learn to be gracious in both defeat and victory. I met Freddy Chester the Three Rivers Sports Development Officer at the Gym at Queens School. We were on the south side and Freddy was at the new gym when I arrived. However, Cricket nets were in progress and no sign of any Ricky Archers. A quick Call to Anoosh Liddell established that there two Gyms. They had the Gym booked 9 – 1. We joined in the training session which was running from 9 to 11. Peter Burford was very patient explaining how to use a bow. Excellent teacher but both his pupils have room for improvement. They run beginner classes if you want to learn about the sport. We had all the safety drills. Indoors people all fire 3 arrows and on the whistle when everyone is ready you go and collect your arrows. I found muscles I do not normally use. 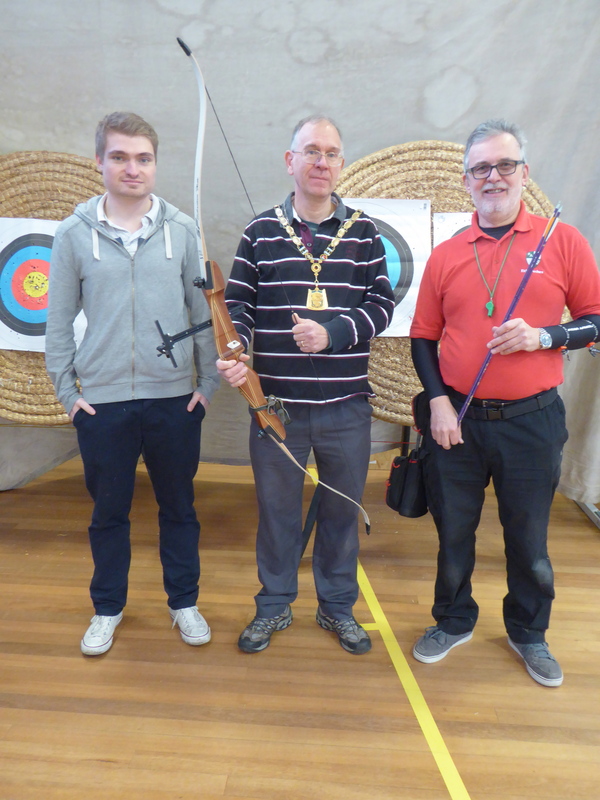 Yesterday several of the Ricky Archers members competed in the Hertfordshire indoor event. It was the best of sixty arrows. Adrian Currall, Chairman of Ricky archers, added the indoor title to his outdoor title. There are different categories of bow that people use. Freddy and I had been invited to go and see an indoor training session after we saw the last outdoor competition in December. In the afternoon we were at Norwich vs. Watford. 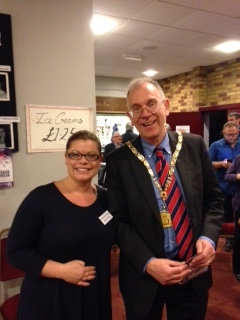 At half time, on the way to see Stephen Rose, I saw Dorothy Thornhill, the elected Mayor of Watford. A few years ago it meant that the Civic Mayor of Watford changed the title to Chairman. I have known Stephen Rose longer than any other of my friends. He will shortly be re-joining the Peace Hospice Team. We went to the last of four performances of the Ricky Players Youth Production of Peter Pan. (Juniors and Seniors). We knew many of the young people in the play. We were greeted by Charlotte Rose the Front of House Manager. 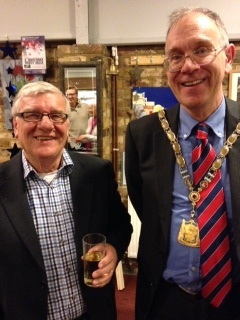 In the interval we met former Three Rivers Council Chairman Roy Clements whose grandson was in the production. We met a friend who was taking his son to his first show. After the production we met Mike Birch, Coach of Croxley Football Team. His daughter had been in the show. Next saturday, Croxley Green Football Club are away at Sarratt in a top of the table clash. We really enjoyed the production and meeting many people we knew. For some of the young people it was their first time on the stage. The group had been away Monday to Thursday. When I arrived they were just finishing their First Aid Exam. The good news was they all passed. It was a 70% pass mark. I chatted to some of the boys over table football, after that I talked to some of the girls. They had all enjoyed the week. Some were at school and others were at college. They will be doing some community service over the next 4 weeks. I arranged to visit other youth projects in Three Rivers. I had been invited by Ben Bruce of Freedom Communications at the Pancake Race. Freedom Communications were one of the sponsors of both events. The speaker was Miles Hilton- Barber. He was talking about living your dreams. He was brought up in Zimbabwe. He and his brother went blind with a hereditary disease which had missed several generations and at 21 Miles went blind, although he had wanted to be a pilot. Until he was 50 he felt like a victim, however, what changed his life was the inspiration of his blind brother who made a boat and sailed single handed from South Africa to Australia. He flew in a Microlight from the London to Sydney (raising over £78M). He has done many other amazing challenges. 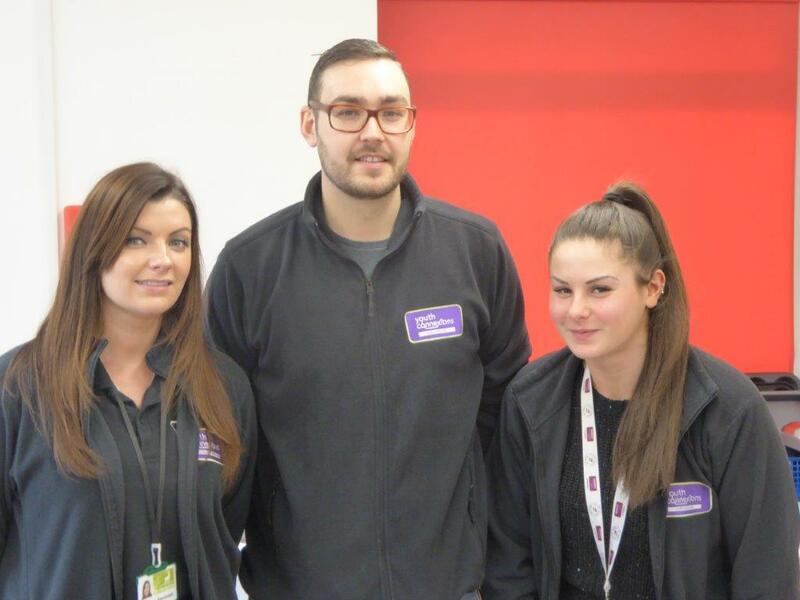 The School team raised over £5,000 for the Peace Hospice. 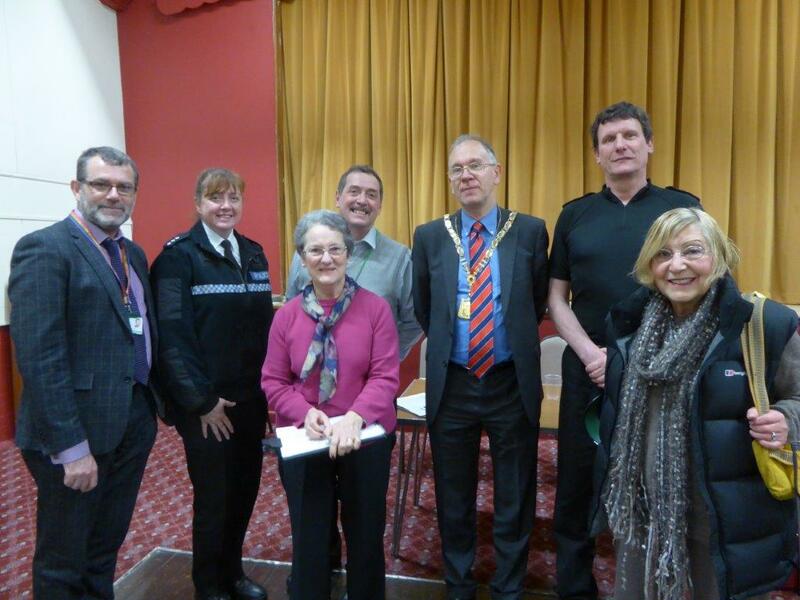 The meeting had been organised by Councillor Martin Brooks, an Abbots Langley Councillor who is involved with the local Neighbourhood Watch. I spoke after Robin Winder (Inspector – Safer Neighbourhood Team – Three Rivers Community Safety Partnership) and Sue Thompson – Three Rivers Neighbourhood Watch Co-Ordinator). https://www.owl.co.uk/watchfinder_lookup.cfm – You can make a difference. Help protect our community. I have been working with the Police in Abbots Langley, Croxley Green and Rickmansworth to door knock and get more people involved in Neighbourhood Watch and OWL. I am a co-ordinator for my road in Croxley. Can you help? 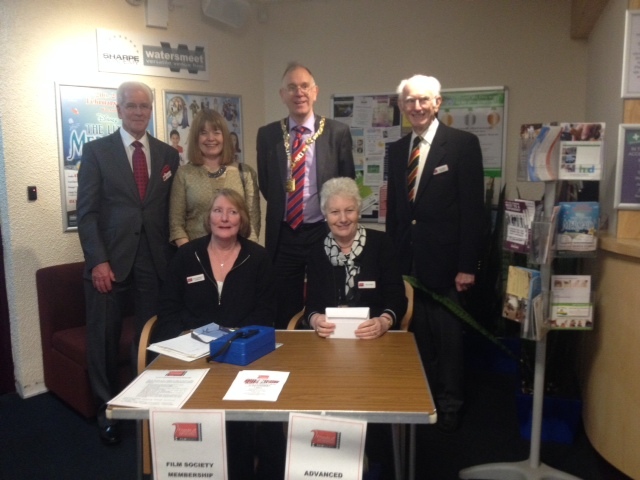 Friends of Watersmeet have shown films for more than 7 years. 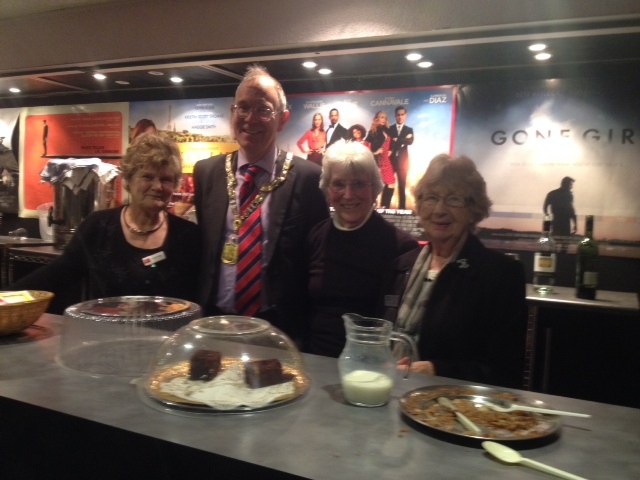 Without their volunteering the showing of Films would have stopped. I remember watching many Films in the 1980’s at Watersmeet. I think most people went to watch Mr Turner because they like the paintings. He was portrayed as a brilliant painter but an odd character. We enjoyed the evening as we had plenty of leg room, a good crowd, and good film. Cllr Paula Hiscocks welcomed me and introduced me to the many volunteers. 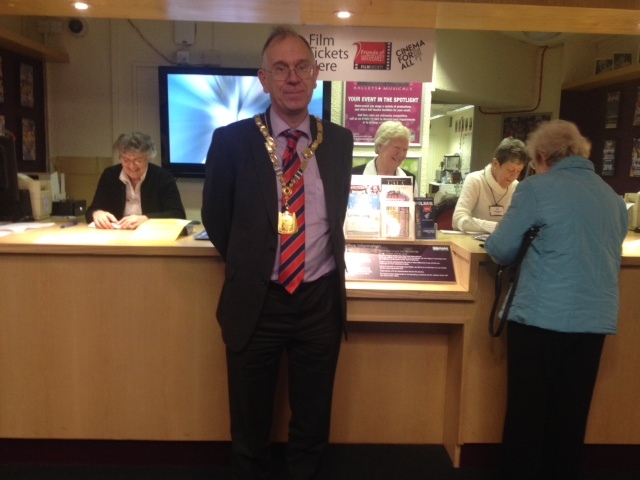 I would encourage you to go and watch a film at Watersmeet. Good value for money.